Need to sell your house fast. You’re in the right place. We buys houses in Charlotte and surrounding areas. Check Out How Our Process Works. We’re Ready To Give You A Fair Offer For Your House. We promise to give you a premium, personalized experience every step of the way. Let us help you skip the traditional home selling hassles, so you can get excited about what’s next. No more agents, no more open houses, no more inspections and no more waiting. 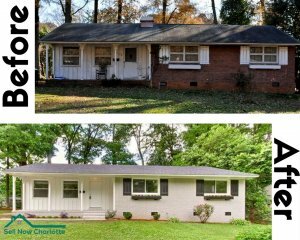 Stop the frustration and let us buy your Charlotte house, regardless of condition. We buy houses in Charlotte and we help property owners just like you, in all kinds of situations. We understand that selling a home can be daunting task. It’s often a time consuming and stressful process. Many homeowners are so busy that they simply don’t have the time to do all of things required to prepare a house to sell on the market. We’ll know very quickly if we can help you, and unlike selling through an agent, you don’t have to wait to see if the buyer can get financing… we’re ready to buy houses in Charlotte right now! We are the premier “We Buy Houses Charlotte” home buying company. We are a local firm with more expert local market knowledge we have worked with hundreds of sellers who needed to sell their homes quickly for a fair price. Yes… we buy houses in Charlotte for cash and we’d love to make you a fair all-cash offer for your home regardless of your situation or the condition of the property.